Through our Health Sciences capstone, we are serving as public health interns at the Pride Center of Vermont. The Pride Center provides sexual health education materials, activities, a wide range of resources, and a safe space for the LGBTQ+ community. The main demographic that this community center works with is within Chittenden county. An estimated 5% of adult Vermonters identify as lesbian, gay, bisexual, or transgender. People aged 18-24 are most likely to identify as LGBTQ+ and about 8% of high school students identify as lesbian, gay, or bisexual (Vermont State Health Assessment, 2018). The majority of services for the LGBTQ+ community in Vermont are located in the greater Burlington area. An issue of focus for The Pride Center is to increase access to services for rural communities in Vermont, with a focus on people living with HIV however they lack major funding. Knowing this, we will assess the rates of HIV in rural areas of Vermont in addition to taking an inventory of current efforts locally and best practices in the literature on reaching rural populations. By the conclusion of our internships, we formulate a proposal for the Pride Center of Vermont on how to successfully expand into rural areas of Vermont. 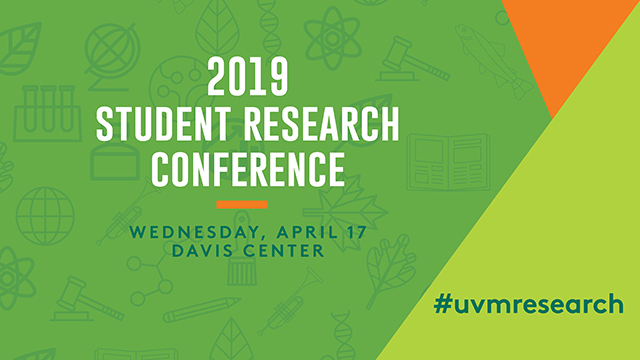 We would like to present at the 2019 Student Research Conference on our service learning research.